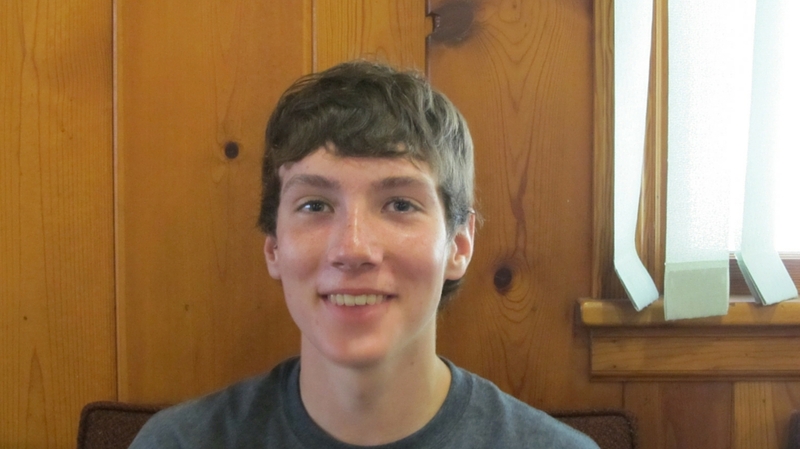 Logan, a PA Brookies graduate and Assistant Team Leader, shares his experience with the wildlife found right in his backyard! 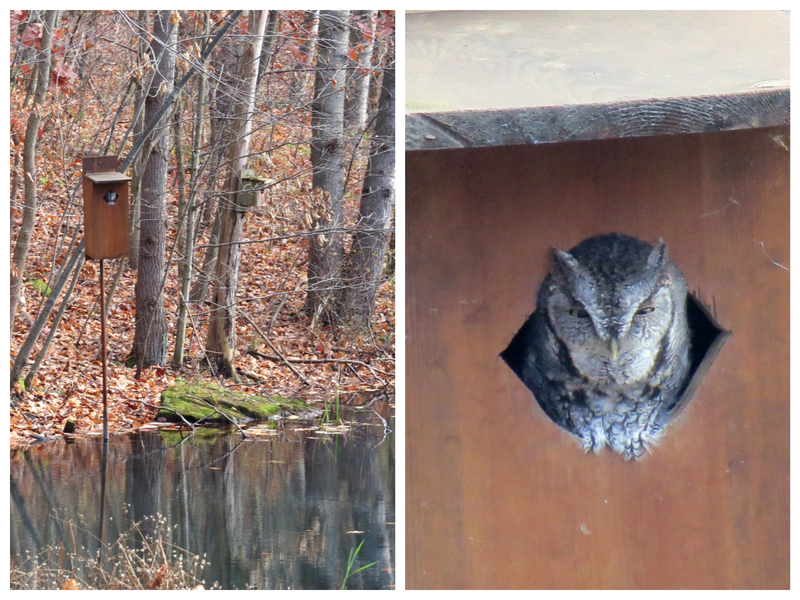 It is amazing the variety of species that make use of his wood duck boxes. I am lucky enough to be able to look out my window and have a nice view of our half-acre pond. 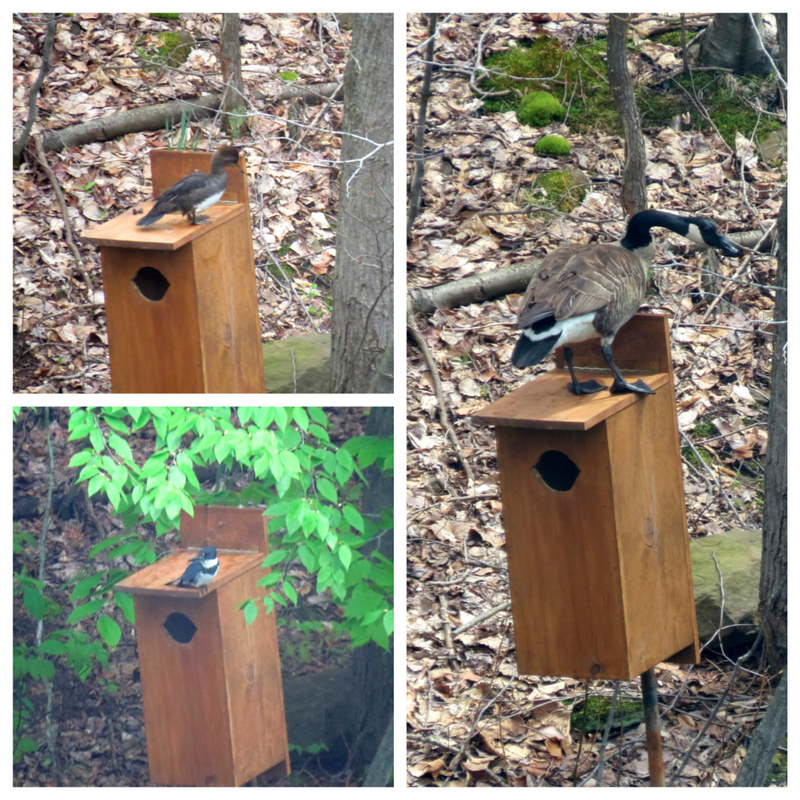 We have several Wood Duck boxes that we built and maintain, and each year we have several pairs of Wood Ducks that nest and raise their young. Nesting pair of wood ducks. We also have nesting Mallards, Black Ducks, and Green Herons. 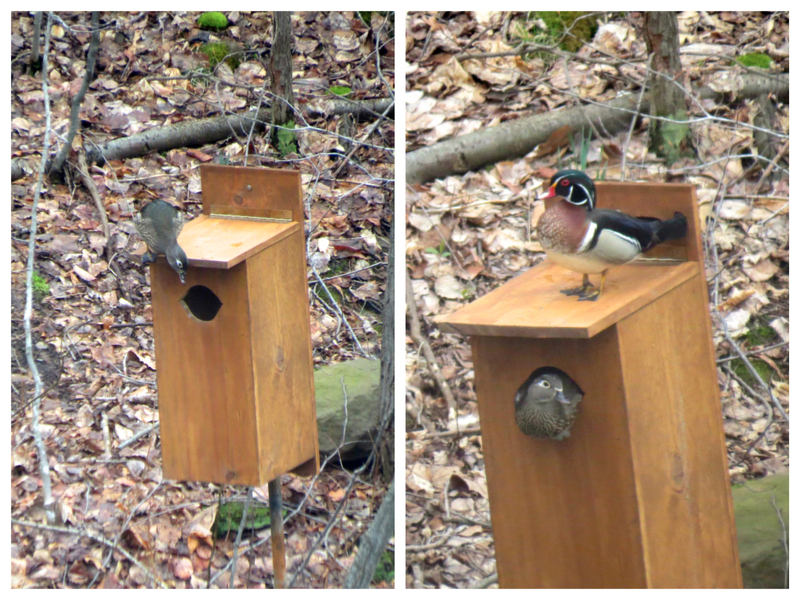 This past spring we replaced an old Wood Duck box with a new one, and it seems like it has become a very popular place. In addition to the Wood Ducks, this year a hen Hooded Merganser, a Kingfisher, and a Canada Goose all decided that the top of our Wood Duck box was the place to be. Hooded Merganser, Kingfisher, and Canada Goose join the party! Just the other day, I came home from school to find a Screech Owl in the same box. I can’t wait to see what visits next.